so that the circulation system is visible. ● Water Pump: Waterproof, stable, high quiet, long life. 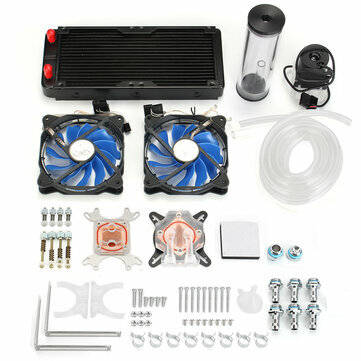 ● 240mm Heat Sink: Provide the excellent heat dissipation, as you need for highly overclocked desktop processors. Note: Do not support for AMD4 CPU CPU block, bracket supports for AMD INTEL mainstream hole installation.